Kilowatt Mug Club: $20 for 20 Ounces. You receive unlimited 20 oz. pours on all regular 16 oz. pint pour purchases for the entire year. Every time you visit either of our locations, you’ll get a 20 oz. pour for the price of a regular 16 oz. pint. Please note: The annual Mug Club Membership does not include a custom mug. 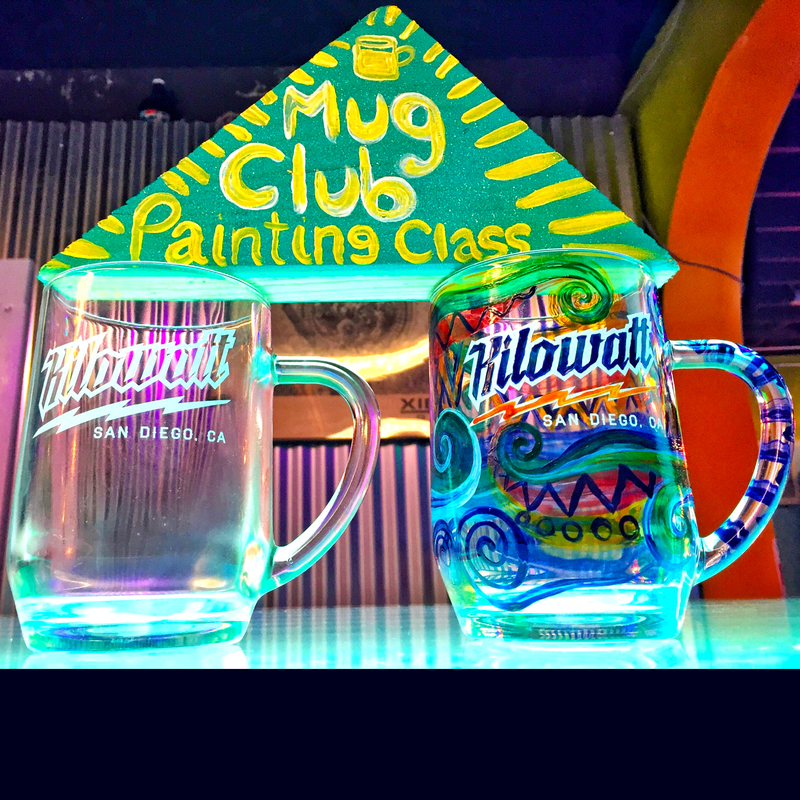 However, if you create your custom mug at one of our Mug Painting Classes, we’ll put your mug on display at whichever tasting room you choose and every time you visit, we’ll pour your beer in your own mug! The cost of the Mug Painting Class is $25. Visit our Events Page to sign-up for the next class. If you don’t choose to design your own mug, not to worry, you’ll still get a 20 oz. pour at either location for the price of every 16 oz. pour purchased. Mug Club Membership is $20 per year. You must be at least 21 years of age to become a mug club member.